"I admire bravery and loyalty, sir. You have both of these. But, unfortunately you haven't any brain at all." We're back on DVD in the Lost In Time set for part three. I refer you to my reaction to the previous episodes. Sorry, but overall this is doing very little for me. I suspect my reaction is something of a carryover from my first encounter with this episode in The Hartnell Years, released on 3rd June 1991. BY this time I would have seen An Unearthly Child, courtesy of Five Faces of Doctor Who in 1981 and probably owned the video. I'd seen the first episode and a bit of the Daleks at school courtesy of a Who fan teacher and owned the Dalek Invasion of Earth. So this was probably the 12th whole Hartnell episode I ever saw and I hated it. No Daleks, nothing that really grabbed hold of me. Worse was to come with the last episode on the tape, Celestial Toymaker 4. It would be some time before I'd automatically buy a Hartnell VHS release. Nowadays I'm much more fond of the Hartnell episodes..... But not this one. 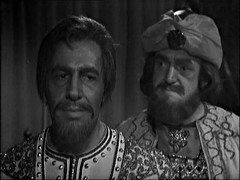 Perhaps it's a little better in context, and there is a nice exchange between The Doctor and the Earl of Leicester plus El Akir's best Bond villaining at the end. Again we have an actor with some notable relatives show up in this episode. 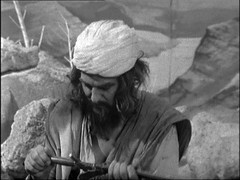 Safiya is played by Petra Markham, whose sister Sonia was a make up artist on many 1960s Doctor Whos including this story. 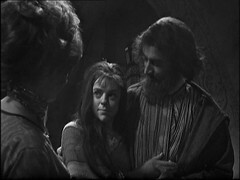 There are two other Markham sisters: Kika, who was married to Corin Redgrave, and Jehanne, who was married to Rise of The Cybermen/Age of Steel's Roger-Lloyd Pack. Their father is David Markham, script editor of the Prisoner, who can be seen in each episode as the man that The Prisoner hands his resignation into during the title sequence. 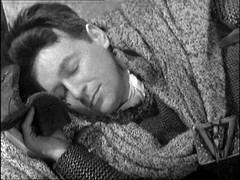 Absent from proceedings this week is William Russell as Ian who only appears in a brief pre filmed insert. 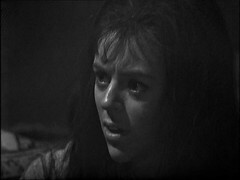 Jacqueline Hill, Barbara, had a week off during The Web Planet where she missed episode 3. This short sequence is the only appearance for David Brewster as a Turkish Bandit. 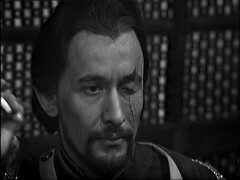 He'd previously been a Mongol Bandit in episode 5 of Marco Polo, Rider from Shang-Tu (AFM: D Camfield), and would also appear in The Dalek Masterplan episode 9, Golden Death (Director D Camfield) as an Egyptian Warrior. This being a historical serial it features a number of known historical figures, chief among them Richard the Lionheart and his sister Joanna who would eventually become Queen of Sicily. Both Saladin and his younger brother Saphadin are real life figures too. Saphadin's real name is Al-Adil: "Sayf al-Din" is a honorific meaning Sword of Faith. 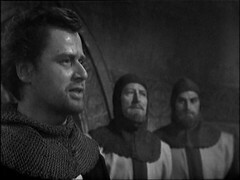 He has two appearances to his name in The Adventures of Sir Lancelot, which starred William Russel, Doctor Who's Ian Chesterton in the title role. Wheel of Fortune was one of the few Hartnell episodes to be found in the BBC archive during Ian Levene's initial visit. Of all the orphaned Doctor Who episodes, The Wheel of Fortune has the longest release history. It first turned up in The Hartnell Years VHS with the pilot & Celestial Toymaker 4: The Final Test. It then gets released on VHS *again* after the recovery of The Crusade 1: The Lion when they're paired with the following story The Space Museum. Finally (so far) it appears with it's orphaned brother and un-narrated the soundtracks for the two missing episodes in the Doctor Who - Lost In Time. However since then The Moonbase has been released with it's surviving two episodes linked by animation. 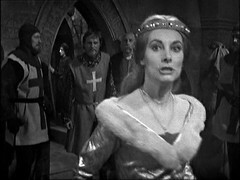 Could that or a telesnap reconstruction of the missing two episodes await the Crusade giving episode three a FOURTH commercial release?